A quarter of a century ago on a remote Kansas farm, a couple of days into 1985, Libby Day’s mother and two elder sisters were slaughtered in an In Cold Blood-style killing. Libby herself escaped into the winter’s night and, despite losing some digits to frostbite, survived to give the testimony that damned her elder brother Ben to life in prison for the murders. In the decades since, there’s been for Libby no happy ending, no reconciliation with life: she lives a borderline-criminal existence on the fringes of society, reveling in her own meanness of spirit. And the fund that was collected all those years ago for the brutally orphaned Libby is now at last running out. So, when a group of rather sick true-crime aficionados called the Kill Club approaches her with offers of actual cash to reinvestigate the old crime and that testimony of hers, she jumps at the chance. Initially it’s just the money that appeals — how long can she string them along? — but soon she begins to doubt her own assumptions and her memories of that fateful night and becomes invested in finding out what really happened. Of course, that could be dangerous work . . . The tale’s told in three alternating strands. The main one is Libby’s first-person narrative today (i.e., 2009ish); the other two follow Libby’s mother, Patty, and Ben in the hours leading up to the massacre. Since we know what’s going to happen to Ben and Patty, and since Libby seems encaged by her own nihilism, it’s rather as if we’re watching the slow-motion train-wrecks of three lives simultaneously. 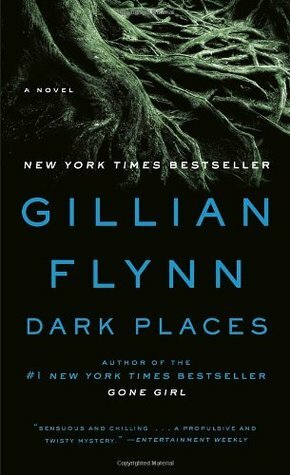 This does not make for light or breezy reading, as you can imagine: in fact, Dark Places is a profoundly depressing book — which is not intended as a criticism, just an observation. It’s like one of those rural neonoir movies in which all the characters are trapped in their own physical and mental squalor, their own limited worldview, without any prospect for redemption. After a while, though, I found I was in fact caring about modern-day Libby, however obnoxious she might be, and the same for Patty, struggling with her own inadequacies. Flynn incorporates this aspect I think very well, very convincingly, although I couldn’t help wishing she’d taken it further, given us some more of the interaction between the child Libby and kindly Dr. Brooner, who drew out of her all manner of false memories about her big brother. In sum, despite all of the things Dark Places had going for it, and despite the fact that I often found it moderately absorbing, it didn’t offer me the rollercoaster ride I’d been expecting: I was never on the edge of my seat. The last line of the book’s blurb is pretty goddam misleading. Initial premise sounded good, but after reading on, I’m less convinced to give it a go. Maybe I’ll try Gone Girl first and see if I like her style. Another film I’ve yet to see. If you'd like to browse the book at Amazon.com, please click this link . For other regions and e-tailers, please click Where to Buy the Book at the top of this page. 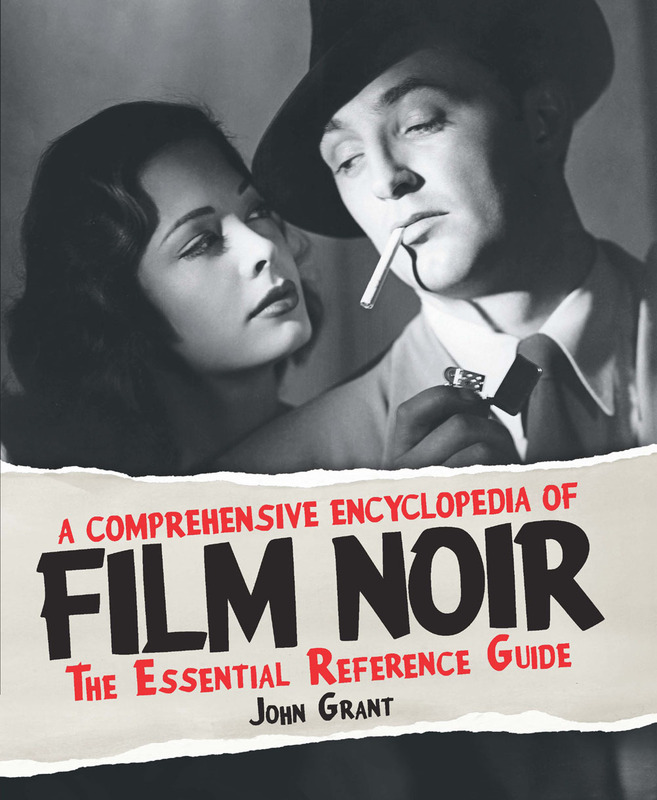 In mid-October 2013 the publisher Limelight released my book A Comprehensive Encyclopedia of Film Noir: The Essential Reference Guide . The book has entries on well over 3,000 films noirs and related movies from all over the world, including over 2,000 from the US alone. The purpose of Noirish is to act as an extension to the Encyclopedia -- an annex, if you like -- where I can add entries for movies that for one reason or another didn't make it into the printed book. In some instances, this is just because the movie concerned was released too late for inclusion. Most often, though, the reason was logistic. Although the Encyclopedia takes the broadest possible view of film noir, there were some movies that were either too obscure or too tangential to the theme to merit the use of precious page space: 800+ large-format pages -- nearly 700,000 words -- may seem a lot but, when you're trying to cover in excess of 3,000 movies, you soon learn to appreciate the constraints. That's why this enterprise has the title it has: Noirish. Many of the movies here are very borderline noir, and some aren't noir at all but have associational interest. Just because a movie's obscure doesn't mean it's lousy . . . although there'll be some lousy movies covered here. There'll also be plenty of movies that are, shall we say, undistinguished -- which is not to say they're without at least some points of interest, and certainly isn't to say they're not lots of fun to watch. After posting a bunch of entries to get myself started, I'll be adding new movies to Noirish as and when I watch them. The abbreviation vt stands for variant title. Movie titles given in UPPER CASE refer to entries in A Comprehensive Encyclopedia of Film Noir. All original material on this site is copyright © 2013, 2014, 2015 John Grant. His fiction has included novels like The World, The Far-Enough Window, The Dragons of Manhattan, The City in These Pages, and The Lonely Hunter, as well as numerous short stories, some of which have been collected as Take No Prisoners. For his nonfiction work he has received the Hugo Award (twice), the World Fantasy Award, and various other international awards and nominations. His editorial work, in particular his time running the celebrated fantasy art book imprint Paper Tiger, has brought him a Chesley Award and a World Fantasy Award nomination. Established 2008 — Please use 'Navigation & Backstory’ shown in the top pinned post of this site -- Books chosen carefully by buying them, and review copies not accepted. Exploring the unusual, interesting and unexpected in Hollywoods Golden Age. You can't spell fulfilment without film. Spilling ink over the things that strike my fancy.